Thanks to supporters like YOU, our campaign won big on Tuesday. I’m so humbled and honored to be re-elected to serve such a wonderful district. I want everyone to know that I have heard your message. Whether I was at the Senior Center or on college campuses, speaking with students or parents, hearing stories from constituents that are getting their GED or those applying for law school, our first responders to our most vulnerable; the message repeated itself. I heard your desire to be able to take care of yourself, achieve your fullest potential, and pay your fair share. I heard a fear towards the ugliness and intolerance that has risen in the last two years, and a hope for something better. And I heard compassion for our most vulnerable that made me so proud to represent this community. This honor is not something I take lightly, and there is much to do. With your help, I am eager to continue tackling all of the issues ahead. I’m deeply grateful for all of the ways you stepped up with your support throughout our campaign. You’ve made our big win possible. Thank you, from the bottom of my heart, for placing your faith in me once more. Let’s get to work! Snohomish County voters should re-elect the Mukilteo Democrat to another term representing the 21st Legislative District. State Rep. Lillian Ortiz-Self has firsthand experience addressing the needs of public-school students, particularly when it comes to their mental health. Snohomish County voters should re-elect the Mukilteo Democrat to another term representing the 21st Legislative District. As a counselor for Everett Public Schools, Ortiz-Self’s insights from the ground can aid the Legislature as it continues to implement a new system of paying for schools. Democratic State Rep. Lillian Ortiz-Self says that highlights of her first session in the legislature included increased support for children’s mental health, people with disabilities and transportation, along with passing the “Dream Act and the student-success bill. She said last week that putting money into children’s mental health was a highlight for her as a school counselor. “As a mental health therapist and someone who strongly believes in a comprehensive approach to meeting the needs of children, seeing dollars targeted towards wrap around services for children was definitely rewarding and a step in the right direction,” Ortiz-Self said. “Being able to provide for 5,000 more people with disabilities is also a step in the right direction although when you have a list of 14,000 you are keenly aware that there is still more work to be done,” she added. Ortiz-Self also said that she was glad when the House passed the supplemental transportation budget. “We desperately needed to fulfill the commitments we started,” she said. Ortiz-Self said that the passage of the dream act was one of the legislature’s most important accomplishments. The act allows high school graduates who lack documented status to compete for college scholarships. She said that a personal highlight was the first bill she had introduced to pass the legislature “the” Student Success Bill.” Ortiz-Self noted that it passed on the last day a bill could be passed out of the senate. She said that she loved the compassion her caucus demonstrated when advocating for second chances in dealing with children in foster care and in the juvenile justice system. “Giving up on our children is never an option,” she said. Ortiz-Self also said that she was glad she had built collaborative partnerships with many members before she joined the legislature by appointment in January. She said that she was fortunate to join committees with such strong leaders such as Joe Fitzgibbons of the environment committee, Ruth Kagi of the committee on early learning and human services, and Judi Clibborn of the transportation committee. Ortiz-Self said that work left to be done includes passing the cost-of-living pay increases for teachers, lowering class sizes so that students get the attention they deserve, also passing the capitol budget that would not only improve Washington’s infrastructure but also bring in living wage jobs. She said that the disappointments reminded her of the importance of patience, tenacity and resiliency. Ortiz-Self won appointment to the State House of Representatives in January to replace Marko Liias, who was appointed to the State Senate. Both represent the 21st Legislative District including most of Edmonds, unincorporated areas north of Edmonds and Lynnwood and northeast of Lynnwood, all of Mukilteo and part of south Everett. Democratic State Rep. Lillian Ortiz-Self celebrated Gov. Jay Inslee’s signing the Dream Act into law in late February. The bill lets children who graduate from Washington high schools pay in-state tuition at Washington colleges and universities despite undocumented status. 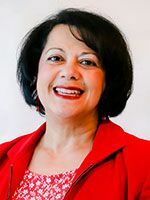 Ortiz-Self represents the 21st* Legislative District, including most of Edmonds, unincorporated areas north of Edmonds and Lynnwood, unincorporated areas northeast of Lynnwood, all of Mukilteo and part of south Everett. * Correction, March 22, 2014: The original version of this article listed the wrong number for Ortiz-Self’s legislative district.